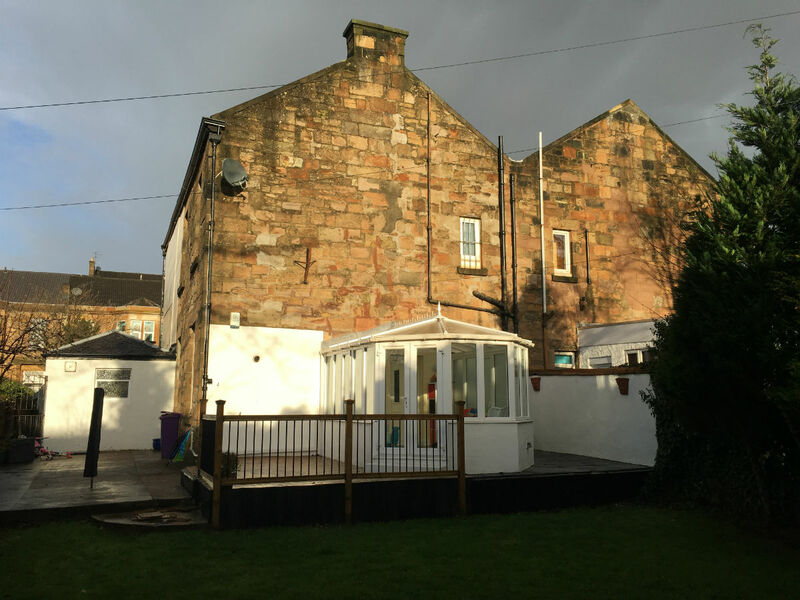 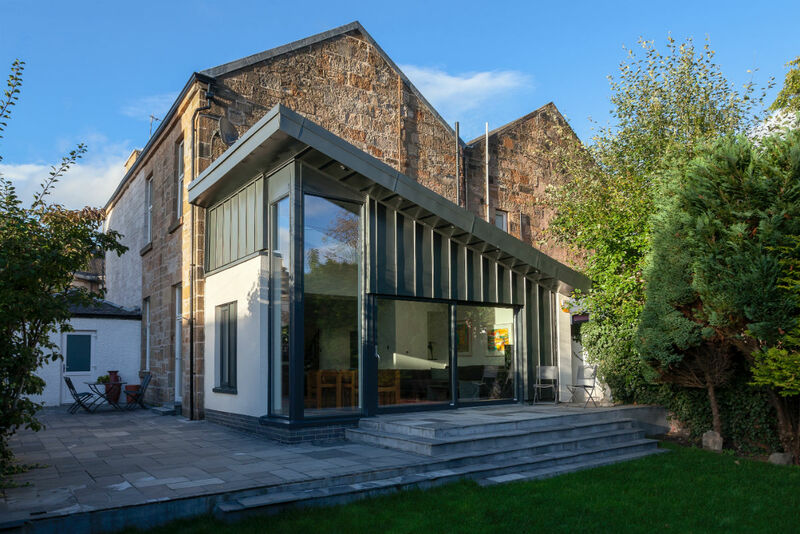 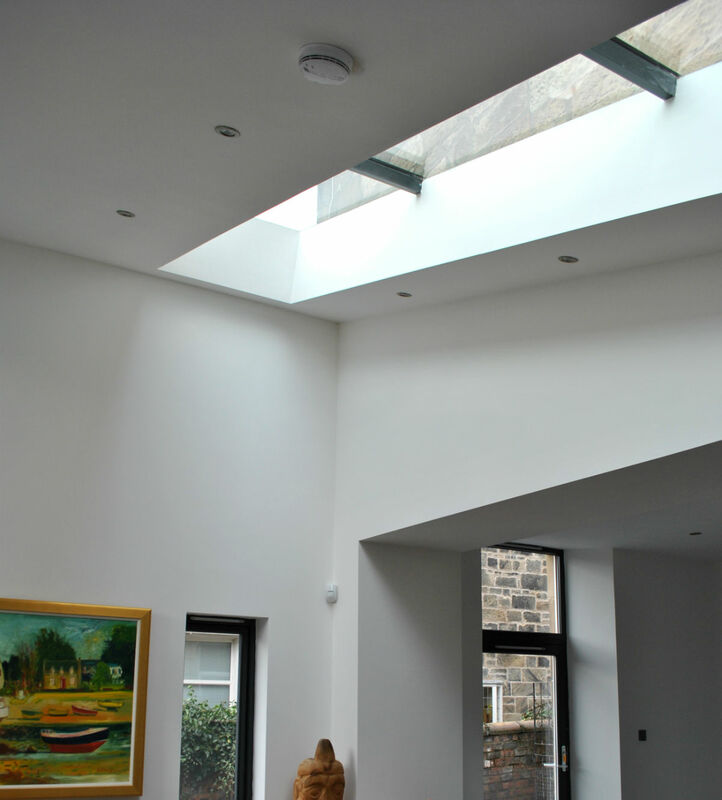 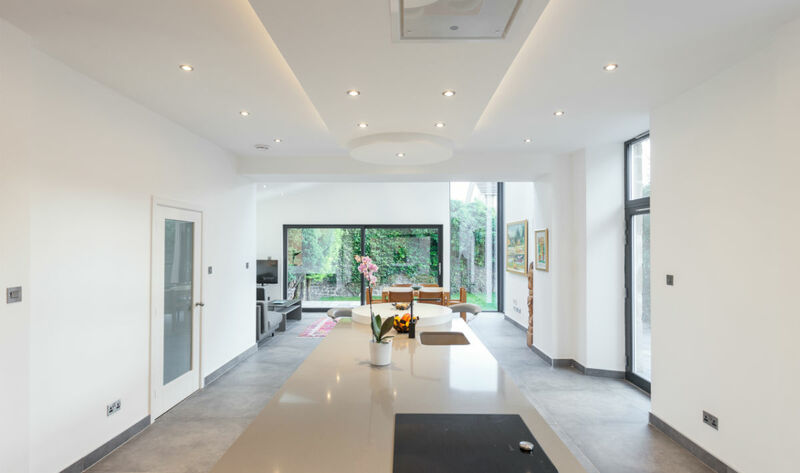 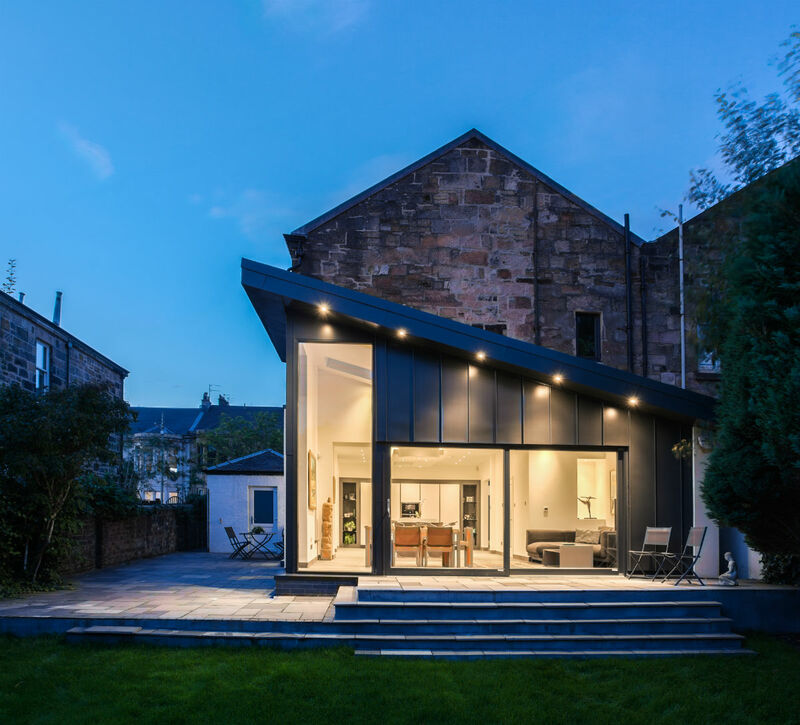 Coogan Architects were appointed to design a complete refurbishment and extension to this semi-detached sandstone property in a Conservation Area within Dennistoun, Glasgow. 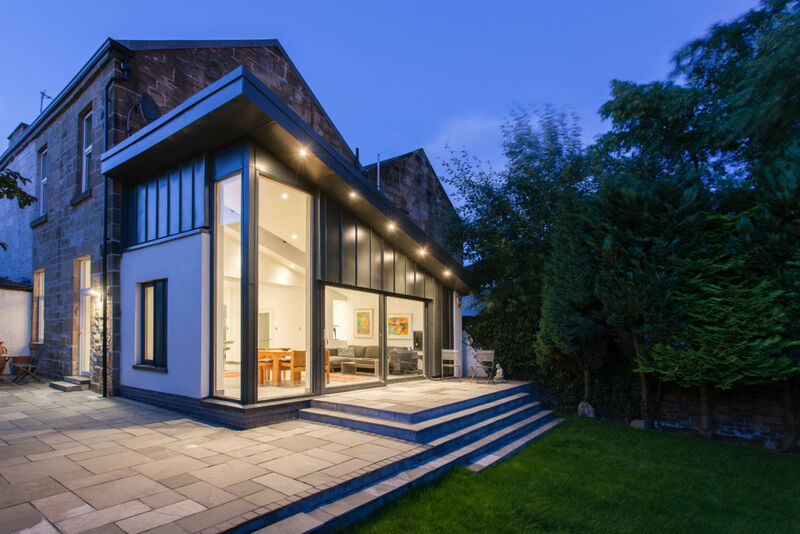 An otherwise bland rear elevation has been transformed by the addition of this contemporary white render and zinc clad extension. 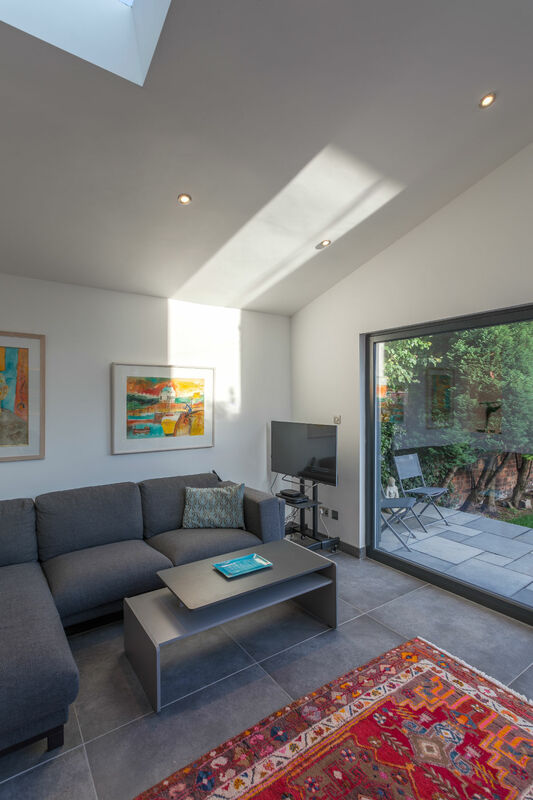 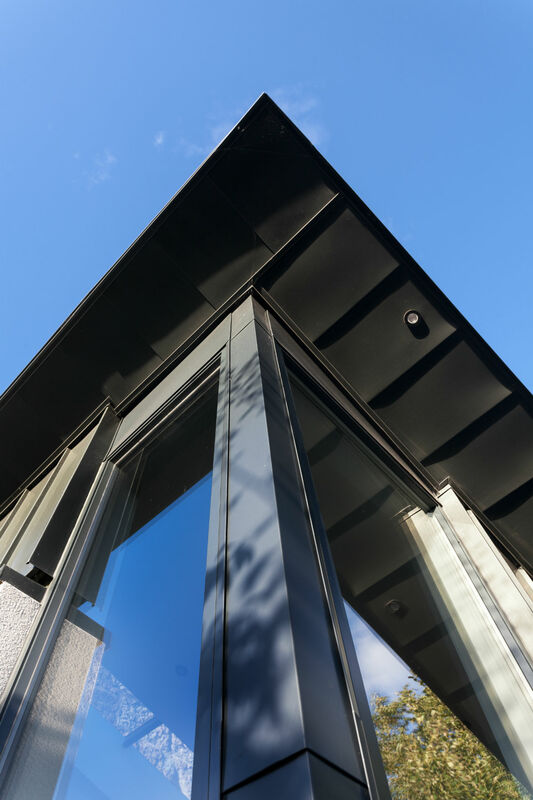 The interior of the house, which was previously isolated from the garden and suffered from day-lighting issues, has now been opened up, flooded with natural light and integrated into the landscape.